1. 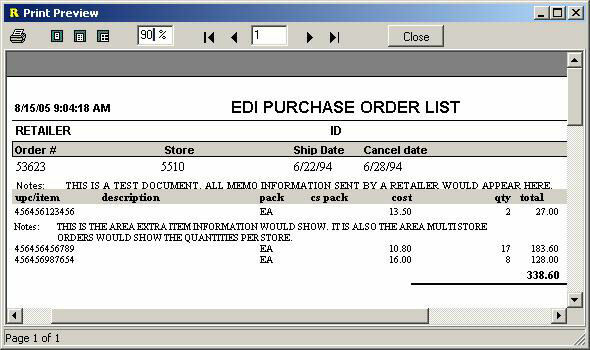 This is the main program for Sending / Receiving EDI information. 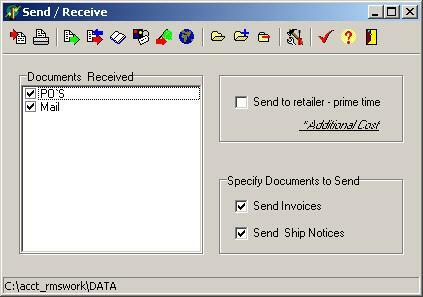 To Start the Receive process, simply click on the Receive EDI button. 2. 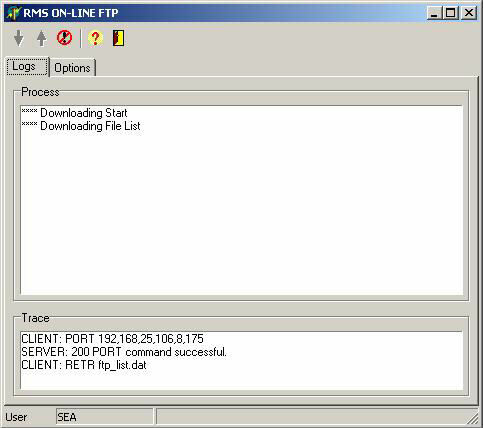 This screen shows the RMS FTP software connecting to the RMS network. The process of logging in and receiving is completely automatic. RMS provides two communication programs that allow you to choose between internet or dialup connection. 3. A very condensed po report is available for you to print. 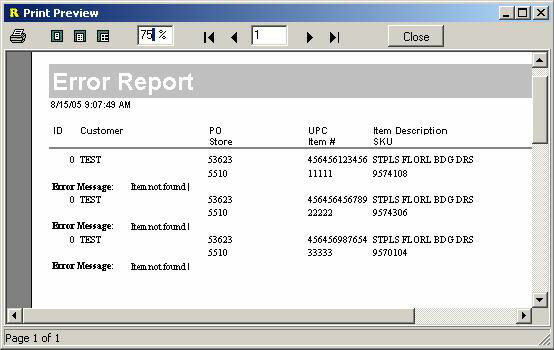 This report can show many PO's and item's on a few pages instead of printing a regular PO. 4. 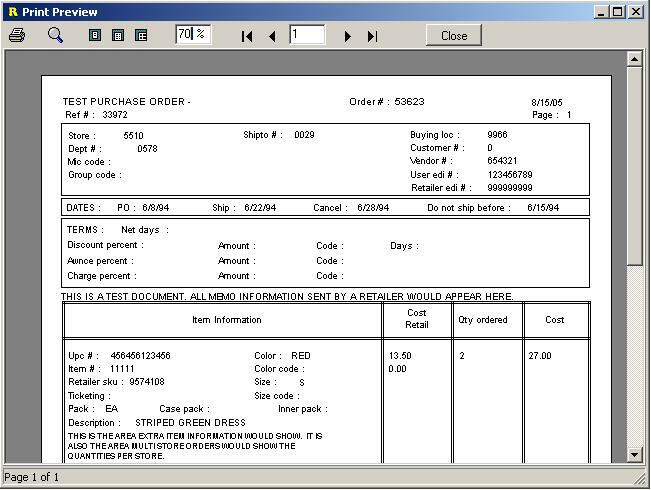 The RMS software allows you to setup contract pricing by retailer/customer. This report can display problems where the contract pricing does not match what the retailer sends. It can also display problems with case pack, and even if the UPC is not on file. 5. Duplicate or replacement PO's can sometimes be a problem. This screen displays and helps you manage these PO's . 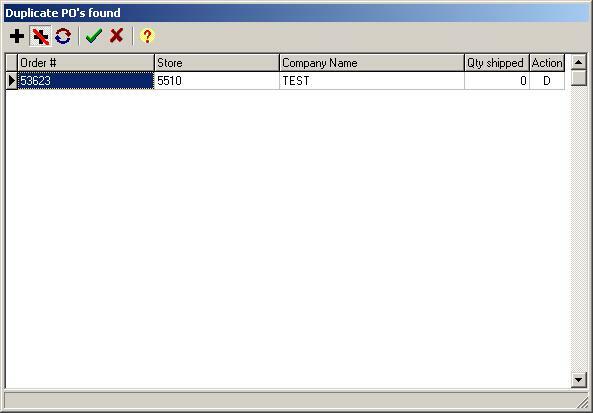 From this screen you can replace, delete and add the duplicates. 6. The final step is to print your PO's. RMS provides three easy to read formats to choose from, Store, Spreadsheet and Multi.